Barcelona boss Ernesto Valverde has confirmed that Lionel Messi and Ousmane Dembele will be fit to face Manchester United on Tuesday. The Spanish champions host the Red Devils at Camp Nou in the second leg of their Champions League quarterfinal tie this evening, defending a 1-0 lead from the away fixture. Barca secured a narrow victory at Old Trafford last week thanks to a Luke Shaw own goal and they are now hot favourites to qualify for the last four of this year’s competition. United cannot be written off completely, however, after a superb comeback win against Paris Saint Germain in the last round which underlined the danger they pose on the counter.
? Find out who the 1??8?? players are that Ernesto Valverde has picked for #BarçaMUFC ? ? 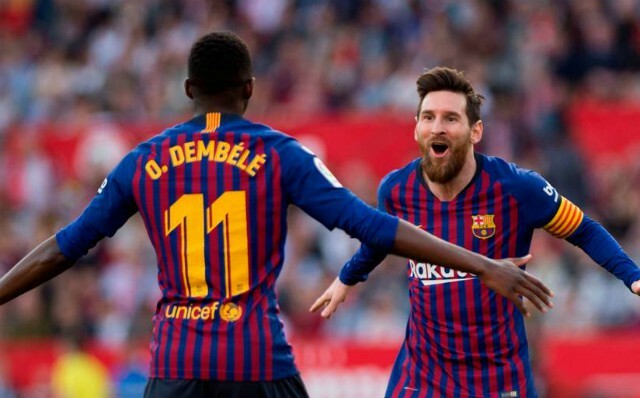 Metro Sport reports that Valverde will have key duo Messi and Dembele available for the clash though, as he revealed in a pre-match press conference: “[Messi]He is perfectly fine. He was already fine after a couple of days. “During the last game, he was a little dazed, but there is no problem for tomorrow. “Dembele could start. The players who start the game will be important, as will the players who finish it. Because we have seen how Manchester United finish their games. Messi provided the assist for Luis Suarez which provoked Shaw’s own goal in Manchester, but aside from that, he was unable to affect the game in any meaningful way, especially after a rough Chris Smalling challenge left him with a bloody nose. The Argentine superstar was rested for Barca’s 0-0 draw at Huesca on Saturday, which means he has had plenty of time off to recover and the stage is set for him to be the match-winner once again. Dembele, meanwhile, has the explosive pace and confidence to really hurt United if he gets the chance to shine, having enjoyed a strong campaign at Camp Nou across all competitions. 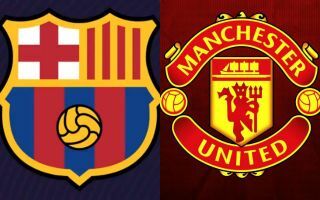 The Red Devils will have their work cut out against a full strength Barca side and they will have to attack their opponents in search of a way back into the tie, which could leave plenty of room for Messi, Dembele and company to wreak havoc when turning over possession.